From 3rd May: Ken Gray, Barry Hopkinson, Russell Lane, James Neville, Vicki Raynes, David William Smith, Ian Strange, Brian Taylor and David Toplis. To read these minutes you will need the free Adobe PDF Reader available here. This free village email news service brings you news ‘hot off the press’ — Parish Council notices, publicity about village events and any important issues affecting our community. To join, simply e-mail a request to Tansley Hotwire. 22nd January 2018: Vacancy for a parish councillor: Please see here for details. 2nd December 2017: Paint spillage on Spout Lane: A large can of paint has been spilled on Spout Lane, adjacent to the side entrance to the Village Hall. Whilst accidents do happen, it would have been sensible and thoughtful had the person responsible notified Derbyshire Dales District Council street cleansing department. A big thank you to residents Nigel Johnson and David Toplis, who acted quickly to alleviate the problem – the paint is now covered with five bags of sand and warning cones mark the affected area. The spillage will be reported to the district council on Monday (4th December). 29th November 2017: Snow wardens required to keep footpaths clear this winter: As in previous years, Tansley Parish Council will be participating in the Derbyshire County Council (DCC) Winter Service Scheme. The scheme encourages communities to help keep named footpaths and pavements within the village clear of snow. Residents who volunteer as snow wardens are asked to specify which area and location they can keep gritted. DCC provides participating communities with additional grit. Volunteers need to stay safe by wearing suitable clothes and footwear. If you are able to help please email responsestpc@gmail.com stating your name and address. Please could you tell us which stretch of public pavement or footpath you would like to keep clear. You may still have grit from last year, but if more is required, please tell us. Thank you for your help. 15th November 2017: Please keep dogs on lead in field with sheep near Knabhall Lane: As you walk from Tansley Fete Field towards Knabhall Lane, you will see that the second field in from Knabhall Lane has a flock of sheep, all of which are with lamb. Dogs off the lead have been worrying these sheep – behaviour that could cause the sheep to miscarry. Dog owners are advised to stay on the public footpath and keep their dogs on a lead when walking through this field. 14th November 2017: Annual Returns published: The Parish Council's Annual Returns for 2014, 2015, 2016 and 2017 have been published in the Library section of this web site. 11th October 2017: A615 road safety - petition handed in to Derbyshire County Council: Tansley Parish Council would like to thank the many volunteers who recently helped gather signatures on the petition requesting measures to improve safety on the A615 in Tansley. Their help was greatly appreciated. The petition, with 385 signatures representing all areas of the village, has been handed in to Derbyshire County Council (DCC) and will be discussed at a Cabinet meeting for Highways on 16th November. Tansley Parish Council has been lobbying DCC for several years; it has asked for improved traffic calming, a safe crossing point and pavements fit for purpose. 28th September 2017: Ruth Bartlett joins the parish council: Tansley Parish Council would like to thank all residents who applied to become a parish councillor. All applicants interviewed very well. It was decided that Ruth Bartlett would join the Council. 4th September 2017: A615 residents' petition - can you help to collect signatures? : Recently there was yet another accident on the A615 adjacent to The Tavern; both drivers were very lucky to escape without injury, both cars were write-offs. We all know how busy the A615 is, and the speed some vehicles travel at. Tansley Parish Council has been lobbying Derbyshire County Council for several years – we have asked for improved traffic calming, a safe crossing point and pavements fit for purpose. It must be remembered that a significant number of residents need to cross the A615 to attend the primary school, catch the school bus to Highfields and access the playing fields and churches. County Councillor Sue Burfoot has advised the Parish Council to present a petition to Derbyshire County Council. Apparently the County Council has to send petitions to the relevant Cabinet meeting where a full response has to be given to the petitioners. The Parish Council would like as many residents as possible to support this petition; we are asking if any residents would be able to help with the collection of signatures. If you are able to take a petition round to houses on your street, please email responsestpc@gmail.com giving your name and address, and a petition form will be dropped off for you. Thank you for your help. 7th August 2017: Vacancy for a Parish Councillor: The Parish Council is seeking to co-opt one member to the Parish Council. Anyone interested should apply, giving some information about themself, to the Parish Clerk (see postal and/or email address above) by Sunday 27th August. If there is more than one applicant then the Parish Council will use its selection process to appoint to the position. 29th June 2017: Water surfacing in Church Street by Gold Hill: Laing O'Rourke has contacted the Parish Council to apologise for the inconvenience caused by the water gushing out of Church Street, adjacent to Gold Hill. The water is natural spring water – nothing to do with the domestic water supply. Recent work has made an existing situation with the natural spring worse. Work is planned to resolve the problem by Sunday 2nd July. We are also told that the pavement adjacent to Oak Tree Gardens, damaged by the contractors, will be repaired. 13th June 2017: End of Year Report 2016-17: The Report has been published here on the Library page. 14th May 2017: Local Plan independent examination - Agenda for hearing on Thursday 18th May: Tansley Parish Council will be speaking at this hearing (Session 14) of the Local Plan Examination, the purpose of which is to examine the housing allocations and settlement boundaries for rural parishes (including Tansley) which feature in the Local Plan. The Parish Council considers the housing allocation for Tansley (150 dwellings) excessive and unfair; it is also concerned that Derbyshire Dales District Council (DDDC) is not taking steps to mitigate the impact of new development by ensuring improved or new services and facilities in the village. You can read the agenda for Thursday’s hearing here. The hearing, to be held in Matlock Town Hall, starts at 1.30pm. 25th April 2017: Tansley Parish Council to take part in Local Plan independent examination in public: The hearings will take place during 9th – 11th May 2017 (Stage 1), and 16th – 19th May 2017 (Stage 2). Participants have been allocated to the hearings based on the substance of their representations related to the ‘Soundness of the Plan’. As a result of representations made by Tansley Parish Council, and concerns related to certain aspects of the Plan, Tansley Parish Council has been invited to participate in the Examination and Hearings sessions, as listed below. 7th February 2017: Traffic management on A615 on 8th February for street light conversion to LEDs: Derbyshire County Council informs us that “traffic management" has been arranged for Wednesday 8th February, to enable the conversion of street lights through the centre of Tansley on the A615 to LED fittings. A government inspector has been nominated to examine the submitted Derbyshire Dales Local Plan to determine whether it is sound and complies with all legal requirements. Part of the examination process will involve hearing sessions open to members of the public dates yet to be advised). With regard to other planning applications in Tansley, there are also decisions pending for the proposed development of three dwellings at Oak Tree Gardens and five at Thatcher’s Lane. 23rd January 2017: Resurfacing work on A615 at Tansley expected in April: Highway resurfacing work by Derbyshire County Council on the A615 in Tansley – between The Tavern and the 30mph sign just beyond Matlock Gurkha Inn – is expected to be carried out in April and will take approximately five days. The entrance to Church Street will also be resurfaced. The A615 will be closed in the evening to allow safe working conditions. 19th January 2017: Dog walkers. Please clean up after your dog: There have been a significant number of complaints from residents about dog walkers who allow pets to foul the pavements, walkways and public footpaths, particularly in the Oaksedge Lane area of the village. Please pick up after your dog. Residents are reminded that dog poo, securely tied in a plastic bag, can be placed in any Derbyshire Dales waste bin. Please think of others – BAG IT! BIN IT! 4th December 2016: Local Plan - thank you to residents who responded: Tansley Parish Council thanks all residents who took time to respond to the Pre-Submission Draft Local Plan August 2016. There were 84 comments from Tansley; these included comments from land owners wanting to bring forward even more land for development on greenfield sites. The representations were interesting and covered a raft of concerns, including the distance we have to travel to access everyday amenities and the additional traffic Church Street will have to cope with. On Thursday 8th December Derbyshire Dales District Council (DDDC) will be holding a special council meeting to discuss the modifications suggested for the Draft Plan before it is presented for examination. It is disappointing that DDDC is not going to open up this final meeting to open and transparent debate. Restrictions have been put on public speaking so that residents will only be able to speak about the proposed modifications. This is yet another example of DDDC’s reluctance to engage and liaise with communities. The only modifications for Tansley are: Lime Tree Business Park, identified as being in Tansley, to be changed to Matlock, and the reinstatement of Tansley Fete Field as a public amenity space. There are no modifications related to any of the proposed development sites in Tansley; furthermore DDDC is not ensuring that with new development improved facilities and services will be provided to mitigate the impact of any additional development. 18th November 2016: Unauthorised removal of signage on Church Street: Prior to work commencing on the replacement of water pipes in the village, all residents were informed of the road closure of Church Street. Derbyshire County Council also advertised the information in the local press. The works being done on behalf of Severn Trent are being done in a way to try to inconvenience residents as little as possible. The 'Road Closed' and other signage needs to stay in place for the duration of the work; this is to comply with insurance coverage for our residents and the contractors. However, each weekend all the signs other than the 'Business as Usual' sign are being removed without authority. We are informed that a fine can be issued to the person or persons responsible for moving the signs, and should an accident occur they will be responsible. 14th November 2016: Did you receive Dales Matters, autumn issue? If not please contact the parish council: Tansley Parish Council is concerned to learn that some Tansley residents have not received a copy of the latest (autumn) issue of Dales Matters, the magazine published by our district council with the intention of keeping people informed about its services. Delivery of the autumn edition commenced on 24th October and should have been completed within one week. Every household in the Derbyshire Dales should have received a copy through their letterbox. A total of 34,000 copies are printed and each copy costs the council 15p, making a total cost per issue of £5,100. If you did not receive the autumn edition – which includes the Christmas waste and recycling timetable – please could you let the Parish Council know as it will help determine any delivery gaps. Please email responsestpc@gmail.com and include your name and address. The magazine can be viewed online here but the Parish Council is concerned that residents with no online access may be disadvantaged. 3rd November 2016: Can you help with winter snow clearing? Each year Derbyshire County Council gives parish councils free road salt in exchange for helping to keep small stretches of pavements and footways clear of snow and ice. The salt is for use only on public footways, not for private use. As in previous years Tansley Parish Council has taken up this offer. If you think you are able to help keep a small stretch of pavement clear near your home, please email responsestpc@gmail.com. Please give your name and address and state which area in Tansley you will keep clear of snow and ice. When the salt arrives it will be delivered to your home. Thank you for your help. 14th October 2016: Part of Church Street will be closed Monday 24th October (or longer): Work by Laing O' Rourke on behalf of Severn Trent to replace old water pipes in Tansley commences Monday 24th October. Part of Church Street – from the Nottingham Road end to the junction with Holly Lane – will be closed that day. It is hoped the road will be closed initially for one day; however, the contractors say this will depend upon progress with the work. Holly Lane will be open. Residents who use this route are advised to take great care as the road is single track and very narrow. Buses will have no access to Church Street from 24th October to 30th October. 14th October 2016: Water mains replacement work starting on Monday 24th October 2016 for 23 weeks: Severn Trent Water reminds residents that, starting on Monday 24th October 2016, it will be replacing old water pipes in Tansley. The work, estimated to take 23 weeks to complete, will take place on Church Street, Whitelea Lane, Green Lane, Spout Lane, The Knoll, The Rocks, Oaksedge Lane, Homefield Close and Riber View Close. For details about which street will be affected when, and related traffic management plans, please see the letter here. Residents will have access to homes and customers will have access to businesses. Severn Trent says it will do its best to keep disruption to a minimum and apologises for any inconvenience caused during the works. Please feel free to use the Parish Council's comments to inform your own response. You can respond online through the link here. You can also respond using paper forms. The Parish Council will be making available some printed copies of the response forms for residents to pick up in the village. The forms will be in a folder pinned to a telephone pole outside Tansley Community Hall from Thursday 8th September. You must submit your comments no later than Thursday 22nd September. View the Derbyshire Dales Local Plan Pre-Submission Draft Plan [PDF 16MB] here. View the Derbyshire Dales Local Plan Pre-Submission Draft Plan- Proposals Map [PDF 25MB] here. 29th August 2016: Tansley Community Hall now owned by Tansley Parish Council: We are delighted to inform residents that the Community Hall now belongs to the village. Tansley Parish Council would like to thank Derbyshire Dales District Council for transferring the freehold of the building to the parish. Special thanks to Chris Gale for helping the Parish Council with all legal aspects of the transfer. Tansley Community Hall will continue to be run by a group of residents who give their time to ensure this valued building remains available for community use. Before the 22nd September deadline, Tansley Parish Council will be issuing some information on the Hotwire to help residents respond within DDDC’s narrow remit. You may wish to wait for this information before 'having your say'. The link to the online consultation is here. If you prefer to respond by completing a paper form, please	contact DDDC. View the Derbyshire Dales Local Plan Pre-Submission Draft Plan [PDF 16MB] here. View the Derbyshire Dales Local Plan Pre-Submission Draft Plan- Proposals Map [PDF 25MB] here. If approved, the Local Plan will guide local development in the Dales up to the year 2033. 21st August 2016: Local Plan Public Meeting, 7 pm, Monday 22nd August, Highfields School, Matlock: As part of the public consultation, Derbyshire Dales District Council has arranged for a public meeting on Monday 22nd August at 7 pm. The meeting, at Highfields School, will give residents an opportunity to put forward their views on any aspect of the proposals for housing and on the proposed locations identified in the Draft Local Plan. Developers and speculators are putting in planning applications prior to the next round of public consultation to ensure they have the best chance of developing their land. When the Local Plan is in place, all decisions about new development will be Plan-led, and speculative planning applications will be less likely to succeed. 19th August 2016: Gas main replacement work 30th August for 6 weeks: National Grid tells us there will be some disruption in Tansley from Tuesday 30th August for approximately six weeks whilst it carries out gas main replacement work. The work will take place on Church Street (between the junction of The Knoll and the junction of Gold Hill), Old Coach Road and Mais Close. National Grid will try to complete much of the work under two-way traffic lights on Church Street, but where necessary a road closure on Church Street (with advertised diversions) will be put in place to enable these works to be carried out safely. National Grid representatives attended our August meeting. They were very helpful and explained the work to be carried out in Tansley. A map of the areas to have replacement gas mains is here for the different phases of work. Maps of the proposed diversions are here and here. A copy of a letter that National Grid is sending out to residents who may be affected by the work is here. It says that National Grid will try to cause as little disruption as possible and that people will receive a separate letter if their gas supply is to be affected. 11th August 2016: Holy Trinity Burial Ground to close from 17th August for up to 4 days: The burial ground at Holy Trinity Church will be closed from Wednesday 17th August for up to four days. Work to complete pathways and landscaping will be taking place. 2nd August 2016: Planning Appeal for 10 homes on the former nursery site on Nottingham Road, Appeal Ref. APP/P1045/W/16/3152291: Derbyshire Dales District Council refused permission for development at the former Neil Thompson Nurseries, Nottingham Road, Tansley, for residential development of up to 10 dwellings. The owner has appealed against this decision. If you would like to make representation, you can do so on the Planning Portal www.planningportal.gov.uk/pcs or by email	to ct1@pins.gsi.gov.uk . All representations must be received by 25th August. Please quote the appeal reference above. ALL REPRESENTATIONS NEED TO BE AT DERBYSHIRE DALES DISTRICT COUNCIL BY 11th AUGUST 2016. For further details about this application you can view planning applications on the DDDC website here using the reference number 16/00397/FUL. 7th July 2016: Village Survey results: Here are the comments and results of the village survey carried out recently by Tansley Parish Council. The Parish Council thanks Kevin McKay for collating the information and putting it into an easy-to-read format. The results of the survey will be used by Tansley Parish Council, should an opportunity arise, either to negotiate with a developer or to inform Derbyshire Dales District Council of the views of our community. The survey results will also give the Parish Council a clear message about the wishes of Tansley residents with regard to issues related to infrastructure requirements for the village. 7th July 2016: Local Plan meetings open to the public in Matlock on 11th	and 13th July: Derbyshire Dales District Council (DDDC) will hold two meetings in Matlock next week to inform councillors of amendments to the Draft Local Plan. The meetings, in County Hall, Matlock, will be on Monday 11th July (see agenda here) and Wednesday 13th July (see agenda here) at 6pm. Both meetings are open to the public – anyone wanting to speak at either of the meetings needs to register no later than 12 noon on the last weekday day prior to the meeting in question. Several additional housing development sites have been brought forward for inclusion in the Draft Plan. The sites named for Tansley are: Thatchers Croft (19 homes), Tansley House Gardens (50 homes) and Whitelea Nursery (27 homes). There will be also be a ‘Special’ council meeting held at 6pm on Wednesday 27th July 2016 at County Hall to consider the findings of the Derbyshire Dales Local Plan. The agenda will be available on the DDDC website five days prior to the meeting. 26th June 2016: Bin collection difficulties: Heidi McDougall, Head of Environmental Service at Derbyshire Dales District Council (DDDC), is advising that currently there are “difficulties with waste & recycling collections”. Serco, the company which collects the bins, is experiencing “a shortage of resources”, meaning that some residents may be experiencing delays with their scheduled collections. DDDC says: “We apologise for any inconvenience that this may be causing and would like to reassure you that we are working with the contractor to resolve the issues as quickly as possible.” The situation will be reviewed tomorrow, Monday 27th June, following additional collections that have taken place this weekend. Meantime there is no change to scheduled collections and residents should still present their containers on collection day. If a collection is missed residents should report it at www.derbyshiredales.gov.uk/waste or contact the waste helpline 01629 761122 and leave their container(s) at the edge of their property until it has been collected. 14th June 2016: Parking on Spout Lane: The residents of Spout Lane, Tansley, need to have free access to their properties at all times. Emergency services and refuse collection should also be able to access the lane. Recently some residents have not had their refuse bins emptied; parked cars and vans on both side of the narrow lane have obstructed access. Please ensure that you and visitors or workpeople coming to your home do not block the access for residents who live on Spout Lane. Thank you for your help. How to enter:You need to read the competition entry rules and submit your entries before the closing dates by email to tansleyinbloom@btinternet.com or by posting your forms in the postbox at the Tansley Community Hall, Church Street. The Tansley In Bloom and Scarecrow rules and entry forms are here (and in Word format here). The Garden and Home Produce rules and entry forms are here (and in Word format here). Please help make the event a success by entering as many of the competitions as possible and helping us celebrate the wonderful village of Tansley. Good Luck! 21st April 2016: Parish Council needs your help in responding to housing development plans: Tansley Parish Council needs your help in responding to Derbyshire Dales District Council (DDDC) regarding housing development proposals contained in the Draft Local Plan. Your views are important, so please read the Parish Council's letter to residents here. The deadline for responses to DDDC is 19th May 2016. The Parish Council urges residents to makes their views known directly to DDDC regarding the two sites that have been included in the draft Plan – Tansley House Gardens and West Yard. Your views on the sustainability of these two sites – particularly with regard to highway safety, landscape sensitivity and the lack of basic facilities – would be very helpful. In the letter, the Parish Council gives an overview of the issues related to each site and explains how you can make your opinions known if you have not already done so. The Parish Council says that there are two more sites it anticipates coming forward for discussion very soon, one at Whitelea Lane and the other at Jackhill, and that it will notify you when this happens and ask you to comment. 21st March 2016: Local Plan Update - what it means for residential development for Tansley: Here is a notice from Tansley Parish Council regarding housing development plans for our village. The document updates the situation with regard to the draft Local Plan and expresses concern at the impact development could have on Tansley. Residents are urged to make their own views known. The cumulative effects of this number of homes will impact significantly upon our road network; however, this was not considered as important by either the majority of our councillors or the planners. 26th February 2016: Clean up after your dog: Tansley Village Green has been designated as an area where owners are required to keep their dogs on a lead. If your dog is on a lead you will be able to control it, and you will also be aware if it fouls the area. Recent reports indicate owners are allowing their pets to defecate on Tansley Village Green. Residents are reminded that they are required to clean up the mess should their dog foul in a public place. The Village Green should be a place where our children can play safely. Residents are also reminded that under new national legal regulations, pet dogs must be microchipped from 6th April this year and registered on an approved database with their keeper's up-to-date contact details. Click here for more information. 9th February 2016: Reminder - dogs must be kept on leads: The Parish Council would like to remind residents that our Village Green is subject to a Public Space Protection Order and that dogs must be kept on their leads in this area. They are also not permitted to enter the children’s playground, with or without a lead. The fixed penalty for ignoring the order is £100; a fine of up to £1,000 could be imposed on conviction in a Magistrates' Court. There are signs at every entrance to the Village Green stating that dogs must be kept on leads. Dogs must also be on leads in Tansley churchyard and burial ground, the alley between Gold Hill and Spout Lane and the Heathy Lea sports pitch adjacent to the Nottingham Road. You can report anyone letting their dog off its lead in a protected area by phoning Helen Spencer at DDDC on 01629 761151. To report an instance of dog fouling use DDDC’s online form. 1st February 2016: Outline planning application for up to 10 homes on Nottingham Road: Tansley Parish Council would like to inform residents that an outline planning application for up to 10 dwellings at Nottingham Road, Tansley, has been submitted to Derbyshire Dales District Council (DDDC). You can search for the application through this link, using planning application number 16/00005/OUT. Representations/comments regarding this application should be made to DDDC planning department no later than 17th February 2016. You can do this online via the link above; please note that you must include your name and postal address or your comments will not be accepted. 25th January 2016: Submit your views on village facilities: Tansley Parish Council would like to hear from YOU about what facilities or improvements you would like to see in the village in exchange for any housing development that takes place. It would also like to know if there are any potential amenities or infrastructure projects you would strongly oppose (please give reasons). This is your chance as a Tansley resident to make a difference to your village by helping to guide the Parish Council in requests it might make to developers. As Tansley has been earmarked for development under the revised Local Plan, the Parish Council must now try to make the most of opportunities such development presents while continuing to oppose any schemes it considers inappropriate. It would like to be as representative as possible of the wishes of the majority of residents. Your views are very important so please let us have them. Email responsestpc@gmail.com as soon as possible and no later than Sunday 31st January. 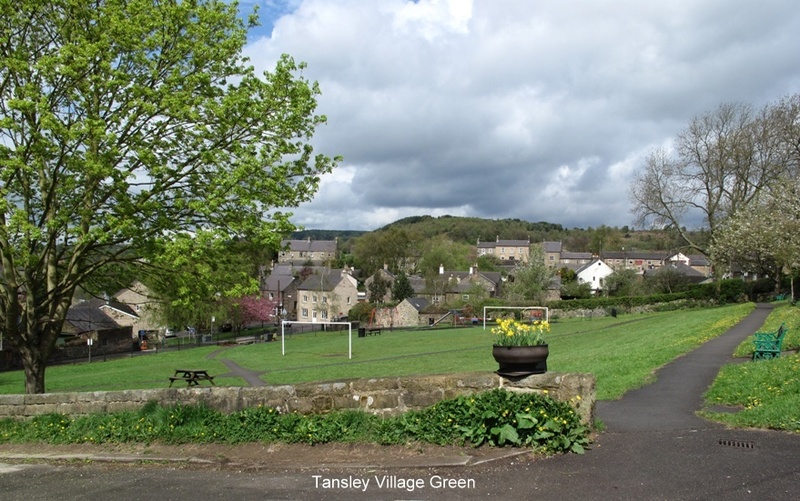 21st January 2016: Tansley In Bloom meeting 22nd February in Tansley Community Hall: A meeting has been organised for all residents interested in reinstating Tansley In Bloom this summer. You may want to offer practical help or you might have some ideas – either way, there is an opportunity for you to get involved in galvanising a new community project for the village. We hope to stage the event in July, before the children break up for the school holidays. 19th November 2015: Have your say on proposals for the Local Plan: By now everyone in the village should have received the leaflet YOUR LOCAL PLAN – your questions answered about the plan from Derbyshire Dales District Council (DDDC). The leaflet explains that the Local Plan sets out “the overall vision, objectives and policies for the future development of those parts of the Derbyshire Dales that lie outside the Peak District National Park.” As you may know, the last Draft Plan allocated 25 new homes for Tansley, the chosen site being the plant nursery on Whitelea Lane. That allocation has now more than doubled with planning applications approved for 27 dwellings on land adjacent to Tansley House Gardens and 4 for Oak Tree Gardens. We believe there may also be further sites in the village coming forward for development. Tansley is one of 26 settlements that have been identified as being suitable to accommodate new development. DDDC will notify all settlements in January of site locations that have passed their filter and been put forward for development. It is important that you let DDDC know your views. You can respond to the council’s survey online at www.derbyshiredales.gov.uk/LocalPlan OR you can write to: Planning Policy Team (Local Plan), Town Hall, Matlock. DE4 3NN. There is also an opportunity for you to have your say at a Public Consultation on Wednesday 25th November, starting at 7pm at the Town Hall, Matlock. 16th November 2015: Think before you park - thoughtless motorists: On Saturday 14th November a black 4x4 vehicle was parked on the new white lines delineating the 'Keep Clear' signage at the entrance to Church Street, Tansley. This thoughtless disregard for other road users resulted in the 150 service bus not being able to access the village. Thank you to residents who raised concerns and directed us, via Hotwire, to the Facebook statement issued by the bus company. Tansley Parish Council has been requesting some form of road marking to restrict parking at the entrance to Church Street and outside Tansley Methodist Church for a considerable length of time. Derbyshire County Council was prepared to provide only the markings that are now in situ at the entrance to Church Street. When the markings are observed, traffic appears to be moving with more ease; whilst not a perfect solution, the 'Keep Clear' and white lines go some way towards addressing the problem of parked cars restricting the highway at this location. Any vehicle parked in a way which hinders or blocks access for other road users or emergency services should be reported to the police. The police will respond – a previous incident at this location resulted in a fixed penalty notice. Please continue to inform the Parish Council about any parking that restricts use of the highway or footways, and we in turn will forward any concerns to your District Councillors and County Councillor. However, we all need to think about the impact our own parking has upon others, particularly with regard to how it affects access for emergency services and public transport. 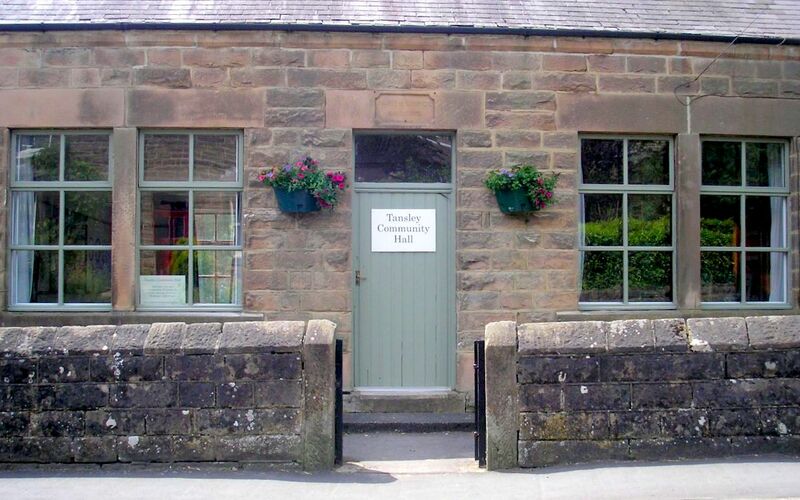 9th November 2015: Tansley Community Hall being transferred to Parish Council: Following an agreement with Derbyshire Dales District Council, the ownership of Tansley Community Hall is being passed to Tansley Parish Council. The building, valued at £150,000, will be transferred freehold to the Parish Council for the sum of just £1. You can read a statement about the transfer here. 20th October 2015: Planning meetings: Tansley residents interested in the progress of the Revised Local Plan and its implications for future housing development in our village and elsewhere in the Derbyshire Dales may find the following information about the dates and locations of forthcoming meetings useful. Wednesday 25th November 2015 – Public Consultation at Matlock – 7pm Council Chamber, Town Hall. Derbyshire Dales District Council (DDDC) says that details of the above Public Consultation meetings will be included in a leaflet to be delivered to all households from 2nd November. 16th October 2015: Keep Clear road marking to be applied in Church Street: In response to a request from Tansley Parish Council, Derbyshire County Council (DCC) has agreed to paint a 'Keep Clear' marking on the roadway at the pinch point on Church Street encountered when entering the village from the A615. The Parish Council, which has been lobbying for a sign at this location for many months, hopes DCC’s decision will prove helpful in discouraging inconsiderate parking at the pinch point. It is envisaged that the new marking will help reduce the likelihood of conflict between parked cars and bus services and in turn dramatically reduce the risk of traffic backing up onto the A615. DCC points out that 'Keep Clear' markings are not normally utilised in such circumstances, but an exception is being made in this case due to the proximity of the A615. Tansley Parish Council would like to thank DCC Councillor Andy Botham for his support. 20th September 2015: Housing Plan meetings: Derbyshire Dales District Council (DDDC) has two Local Plan Advisory meetings scheduled for September, one on Monday 21st and the other on Monday 28th. Both meetings will be held at the Town Hall, Bank Road, Matlock and will start at 6pm. We are informed that the proposed sites for housing development under the revised Local Plan will be revealed at one of these two meetings, so please try to attend. The agenda for the meeting on 21st September is now online. You can view this agenda, plus a report on the outcomes of work undertaken in support of a revised Local Plan here and following the relevant links. As a member of the public, you still have time to give notice to speak at the meeting on Monday 28th September. If you wish to ask questions, express views or present petitions, you must give notice by telephone, in writing or by email no later than 12 noon on Friday 25th September.​ You may remember that the previous Draft Plan was abandoned as the inspector did not consider it sound. Under that plan, Tansley was allocated 25 homes, to be located at Whitelea Lane; we are told this development is still going ahead. ​​In addition, DDDC has approved an application for 27 dwellings on the greenfield site at Tansley House Gardens and allowed various smaller applications, meaning that the original quota for our village is already set to more than double. Whilst we accept our village will grow, we also need to think about our infrastructure and services. 30th August 2015: Community shop vending machine. What do you think? : Whenever residents are asked what is lacking in Tansley, the largest response is the request for a local shop. The Parish Council has been speaking to Peter Fox, whose business is the provision and servicing of vending machines for villages without a local shop. The vending machines, which look like small shops, are filled with a wide selection of household essentials. To site the machine there has to be a source of electricity nearby. There are two possible locations for the village shop vending machine in our village – the Community Hall and the pavement area below Oak Tree Gardens adjacent to Church Street. This is a photograph (select it to enlarge it) of the village shop vending machine at Brassington. 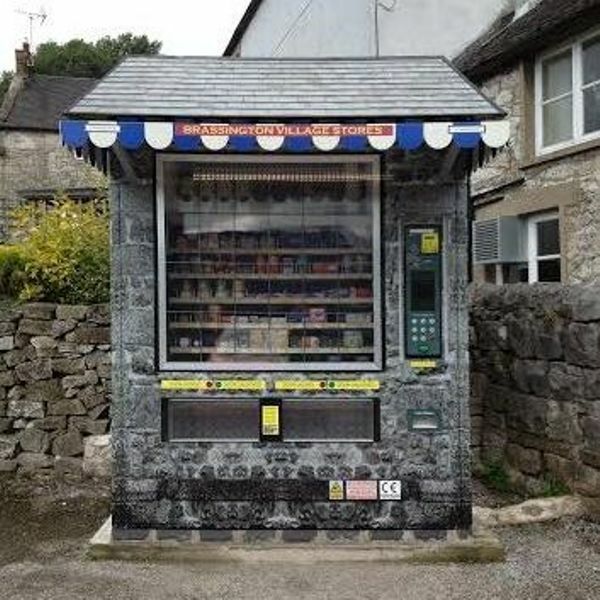 The Parish Council would like to know your thoughts: Do you think a vending machine similar to the one shown would be a good idea for Tansley? Where in Tansley do you think the best location for a similar machine would be? Please email your thoughts to:	responsestpc@gmail.com or clerk@tansleyparish.com . 19th August 2015: Update on Tansley Village Green play area: Derbyshire County Council (DCC) has been involved in investigations regarding the drainage issues at the bottom of the play area on Tansley Village Green. It has been decided the best way to resolve the problem of excess water at this location is to put in further drainage at the bottom of the site, so water will flow away rather than collecting and causing the existing problems of pooling. DCC will be undertaking the work to do this as the new drain will connect with the road drains. As yet we have no information about when this work will take place. 27th June 2015: Automated External Defibrillator now in operation: The community defibrillator is now active and located at The Gate Inn, Tansley on the front patio area. The defibrillator was purchased by Tansley Parish Council with a donation from The Gate Inn. A video of AED usage procedure can be seen here. 21st May 2015: Notice board relocated to the Fete Field pavilion: The notice board which was attached to the Village Hall has been removed and relocated to the Fete Field pavilion. The board will be used to notify users of the Fete Field of the location of the village defibrillator and to display important contact details. Thank you to Barry Wood for moving the board for the Parish Council. 9th May 2015: Spout Lane access to Fete Field closed 18th to 22nd May: The private road leading from the top of Spout Lane, which is the access road to the Fete Field, will be closed from 18th May for five days. This private driveway, owned by the parish, is going to be levelled, a drainage channel is to be installed, and it will then be re-surfaced. Residents wishing to visit the fete field are requested to use the Green Lane access whilst work is in progress. 11th April 2015: Part of Village Green playground cordoned-off: Part of the children’s playground on Tansley Village Green was cordoned-off yesterday by Derbyshire Dales District Council (DDDC). The move follows a complaint from Tansley Parish Council to DDDC about the waterlogged state of part of the playground and concern for the safety of young children playing there. There is water coming up from under the ground and this has formed a pool in one corner of the playground and made some of the grassy area boggy. The water is also leaking through the retaining wall of the Village Green onto the pavement and roadside. Tansley Parish Council will keep residents informed of any progress in getting this issue resolved by DDDC. 26th March 2015: Daffodils vandalised in front of Mais Close: “Oh no! It’s happened again.” These were the words on an upset Tansley resident when they saw that the daffodils in front of Mais Close had yet again been vandalised. The culprit or culprits had broken off stems, pulled off many of the daffodil heads and left everything strewn across the grass. We do not accept such behaviour. Should anyone see any form of vandalism in our village, please email responsestpc@gmail.com . Thank you for your help. 22nd March 2015: End of Year Report 2014-15: The Report has been published here on the Library page. 24th February 2015: Would you like to sponsor a hanging basket for Tansley: Are you interested in sponsoring a hanging basket for your street in Tansley? A group of residents from Thatchers Lane has already decided to do this and has raised enough money to sponsor two baskets; a third basket on Thatchers Lane will be funded by the Parish Council. As usual, the Parish Council will also be purchasing hanging baskets for lamp posts along Church Street, though this year the baskets will not be placed where vegetation such as overhanging trees might hide them from view during the summer months. The Parish Council will check the lamp posts over the next few weeks before the baskets are hung. The baskets cost £80 each. If you would like to sponsor a basket for your street please email clerk@tansleyparish.com with a copy to responsestpc@gmail.com	. 24th February 2015: Maintenance work to begin at Tansley Burial Ground: Tansley Parish Council would like to notify friends and relatives of deceased persons interred within the burial ground that general maintenance will soon commence to top up the graves with earth and re-seed where necessary. The Parish Council politely requests that all Christmas memorials are removed. We would also like to remind relatives that glass and other breakable objects should not be placed on the graves. Thank you for your help. 1) Chairperson’s Report, 2) Village Plan 2012 – (see here), 3) Open Forum. Please email any suggestions or comments prior to the meeting to clerk@tansleyparish.com with a copy to responsestpc@gmail.com . The Parish Meeting will be followed by our monthly Parish Council meeting. 19th February 2015: LED street lighting going ahead: Derbyshire County Council (DCC) has halted its “part night street lighting” project and is focusing instead on a new strategy of investing in LED street lights. On 21st October 2014 the DCC Cabinet approved “invest to save” proposals to convert most of the lighting stock of the county to LED lighting. The money for the LED conversion is being borrowed from The Public Works Loan Board. DCC is currently putting together the contractual documents for delivery of the project. A definitive programme of works, detailing when individual parishes will be converted to LED, has not yet been finalised. The project commences in the autumn of this year and will be implemented over three years. 18th February 2015: Donations made to local groups: Donations of £100 each have been given to Tansley Brownies, Tansley Tots and Friends of Tansley School (FOTS) to help with running costs and to boost fundraising. The Parish Council thanks these groups for the work they do within our community. 18th February 2015: New, co-opted parish councillor: Adrian Smith is welcomed as the new parish councillor. 26th January 2015: Vacancy for a parish councillor: Tansley Parish Council has a vacancy for a Parish Councillor; the vacancy has arisen because of the resignation of Kevin McKay. Anyone wishing to be co-opted onto the Parish Council should send their details in writing to the Clerk to the Parish Council, either by email or by letter (see addresses above). This should state your details, and what you think you could contribute to village life. There are Parish Council elections this year, so this would be up until May. This might be an ideal opportunity to come along and be involved without long term commitment. Please see the Planning Inspector's covering letter here and the decision notice here for more details. REMOVAL OF DOG WASTE BIN, SPOUT LANE Last year, when Tansley Parish Council asked if it could buy more dog waste bins, Derbyshire Dales District Council (DDDC) said that was possible but that DDDC would not empty them. This response reflected a cost-cutting exercise affecting all areas. More recently the Parish Council rejected a proposal for the dog waste bin on the Fete Field to be removed, but was told it had to come up with an alternative. The Parish Council's suggestion that the bin on Spout Lane be removed was implemented. That suggestion was made because the dog waste bin was near to a litter bin, and DDDC has said that bagged dog waste can be disposed of in any dog waste bin, litter bin or bin provided for domestic waste. DOG CONTROL This is a Derbyshire Dales District Council (DDDC) initiative under the Public Spaces Protection Order. Tansley Parish Council was asked to comment on suggested dog control areas put forward by DDDC and to make its own suggestions. Dog Exclusion Orders – designed to create dog free areas: DDDC suggested the enclosed play area on Tansley Village Green. Dog On Lead Areas – designed to keep dogs under closer control, on leads in specified areas: Areas suggested by DDDC and Parish Council: Footpath from Tansley Primary School to Village Green, Heathy Lea Sports Field, marked pitch, Holy Trinity Church Yard and Burial Ground, Tansley Village Green. There was also a suggestion put forward that the Fete Field pitches be included, but this was not favoured by a group of residents. There will be no Dog Control Orders at this location. 16th December 2014: Vacancy for a parish councillor: Please contact the clerk for more information. 30th November: Informal hearing into planning appeal: An Informal Hearing will be held into the appeal reference APP/P1045/A/14/2226401 regarding an outline planning application for residential development on land at Tansley House Gardens. The hearing, that will be open to the public, will start at 10am on Tuesday 9th December 2014 at Matlock Town Hall, Bank Road, Matlock, DE4 3NN. Please see the letter here, received by Tansley Parish Council, for more details. Please note that the appeal reference number works on the search facility of the Planning Inspectorate website but not on the Derbyshire Dales District Council website. Tansley Parish Council opposed the application to build houses at Tansley House Gardens, in line with its policy of opposing development on greenfield sites. 30th November: Methodist Soup & Sweet Group donate £100 towards defibrillator: Many thanks to the volunteers who run the Soup & Sweet at Tansley Methodist Church’s Brunswick Room for their generous donation of £100 towards the cost of a village defibrillator. 29th November: New convex mirror opposite Gold Hill: Drivers using Gold Hill will be pleased to know that the convex mirror purchased by the Parish Council is now in place on Church Street. Thanks to Parish Councillor Ian Spencer for fitting the mirror. Thanks also to Ralph and Sarah Emmerson, who kindly agreed for the mirror to remain sited upon their land, and who suggested that the Parish Council in response might like to make a donation to a village cause as a thank you. The Parish Council thought this was a good idea and decided to give £100 to help maintain the clock on Holy Trinity Church. 24th November: Parish Council to buy a defibrillator: The Parish Council has decided to purchase a defibrillator for the village following a collection at The Gate Inn's recent bonfire night and a discussion with the pub’s owners. Alan Baranowski and James Neville, co-owners of The Gate Inn, informed the Parish Council at its meeting (18th November) that members of the public attending the bonfire night had donated £408 towards the purchase of a community defibrillator. Both owners were happy for The Gate to be used as a location for a defibrillator. Mr Neville said he would arrange for the unit to be fitted to an exterior wall, while Mr Baranowski would be able to arrange training to use the unit. Mr Baranowski, is advising the Parish Council on the type of unit to purchase; he has also negotiated a very competitive rate. We expect the unit to cost approximately £650 ex VAT. The case, which will be heated to protect the battery in cold weather, will cost about £530 ex VAT. Many thanks to the owners of The Gate for offering to house the defibrillator on their property, and for the donation of £408 towards it. 23rd November: Can you help to keep pavements clear of snow? You may have helped keep pavements clear in the past, or you may want to help this year. Each year Derbyshire County Council gives an additional allocation of grit to communities that are prepared to help keep pavements clear of snow and ice. Helpers will receive an allocation of grit to be used on the public pavements or walkways. If you think you can help, please email responsestpc@gmail.com. Please give your name and the location of the footpath you are prepared to grit. You will be sent a 'fit to participate form' and advice regarding gritting. The Parish Council will deliver grit to you, or grit can be collected from our distribution point. Thank you for your help. 20th November: Planters now have winter bedding plants: Tansley Parish Council has recently put winter bedding in the village planters. Thanks to Cllr Greenhough — better known as "Steve our Postie" — for taking photographs and sharing them with us here. 4th November: Derbyshire County Council (DCC) is planning to switch off some street lights in Tansley: What are your views? As part of a cost-cutting exercise DCC is planning to switch off some street lights in Tansley between the hours of midnight and 5.30am. DCC is asking people what they think about the plans. To see and comment on the proposals for Tansley visit DCC's web page here. 24th August: The PC will not facilitate a defibrillator: After much consideration, Tansley Parish Council has decided against facilitating the provision of a defibrillator for the village. There were concerns related to the long-term maintenance of the unit and providing a safe central location. 27th June: Should Tansley have a defibrillator? : A resident has asked Tansley Parish Council to consider providing the village with an automatic external defibrillator (AED). Community Heartbeat, a national charity which supports community defibrillation, says: “An AED is used in cases of life threatening cardiac arrhythmias which lead to cardiac arrest.” According to Community Heartbeat, the chance of survival following a cardiac arrest decreases by 23% per minute. It says: “It is therefore very important medical treatment starts as soon as possible. The UK Resuscitation Council suggests an AED should be available wherever medical treatment is more than five minutes away.” It adds: “Unlike regular defibrillators, an AED requires minimal training to use. It automatically diagnoses the heart rhythm and determines if a shock is needed.” For more information about AEDs, please visit the Community Heartbeat website. The resident questions whether outside medical help would reach our village quickly enough when needed and believes an AED might save someone’s life, providing a highly valuable community asset. An AED costs about £2,000 to purchase and about £1 per week to run. The machines come in vandal-resistant all-weather cases and need to be placed on the outside wall of a building where there is an available supply of electricity. Do you think we should have a defibrillator in our village? If we were to have a defibrillator, where do you think would be the most suitable place to locate it? Would you be interested in joining group training sessions? Please email your response, with your name included, to Mrs Sally Leighton, Clerk to the Council, at clerk@tansleyparish.com Thank you for your help. 27th June: Wooden benches installed at the Fete Field: New wooden benches have been installed at the Fete Field. Thank you to Tansley Development Association for funding the purchase of the benches, to Tansley Teak for providing them and inscribing them free of charge, and to Dave Smith for installing them. 21st May: End of Year Report: The Report has been published here on the Library page. 1st May: Thanks for helping with the Litter Pick: Thank you to all residents who made time to come and help with the recent litter pick. We managed to fill a total of fourteen sacks of litter, which was collected from the village by Derbyshire Dales District Council. 16th April: Litter Pick, please help 26th and 27th April: Litter pickers, refuse sacks and gloves will be provided. If you can spare a couple of hours, please come and help tidy the footpaths and verges. Meet at Tansley Community Hall, Church Street. Saturday 10am-12pm & 1pm-3pm. Sunday 10am-1pm. 11th April: Thanks to Cllr. Botham for sponsoring two hanging baskets: Tansley Parish Council thanks County Councillor Andy Botham for sponsoring two hanging baskets for the village from his Community Leadership Fund. 10th April: Sponsor a hanging basket: Tansley Parish Council has decided to place hanging baskets along the length of Church Street. Parish Council planters will also be filled. Residents may wish to sponsor a basket for their own street. To do this, please send the number of the relevant lamp post and its location, and a cheque for £80 payable to Tansley Parish Council to the Clerk (address as above). Thank you. 31st March: Speed camera visits Tansley: Several weeks ago Councillor Andy Botham walked the A615 between The Tavern at Tansley and The Royal Oak. Cllr. Botham wanted to see first-hand the problems encountered by residents who need to cross the A615 to access village facilities. It was conceded that, because of poor sight lines and a lack of pavement, it was not possible to have a crossing. It was suggested that trees could be cut back and that the 30mph Vehicle Activated Sign could become permanent. Cllr. Botham said he would arrange for a mobile speed camera to come to the village on a regular basis for several weeks. On Sunday 30th March the van containing the speed camera was parked opposite The Tavern for several hours. At the end of the exercise, the Parish Council hopes to receive feedback about speeding at this location. Thank you Cllr. Botham. 26th March: Letter to DDDC opposing planning application for fields adjacent to Tansley House Gardens: Tansley Parish Council has sent a letter to Derbyshire Dales District Council (DDDC) opposing an outline planning application for residential development on the field next to Tansley House Gardens (ref. 14/00097/OUT). The letter can be viewed here. 22nd February: County Councillor Andy Botham's visit about A615 traffic calming: Tansley Parish Council continues to receive reports from concerned residents about the speed of traffic on the A615. Issues include poor sight lines, lack of comprehensive traffic calming and difficulty crossing the road on foot, particularly at the location of Alders Lane and The Royal Oak public house. On Monday 17th February, County Councillor Andy Botham and officers from Derbyshire County Council met with members of Tansley Parish Council to walk along the A615 from 'Fred's Shop' at the end of Thatchers Lane to Lots of Pots. The County Councillor and officers agreed that it was very difficult and dangerous to cross the A615 at the location of Alders Lane. Currently, Tansley shares a Vehicle Activated Sign with Cromford. Tansley Parish Council has expressed an interest in purchasing a permanent sign for our village but has been told by Derbyshire County Council that we “do not fulfil the criteria” for a permanent sign even if we purchase our own. Tansley Parish Council questions these 'criteria'. The Parish Council also asked about the possibility of a pedestrian crossing and was told that a crossing on the A615 would not be possible because of poor ‘desire lines' (obvious places where a pedestrian would want to cross) and poor sight lines. When we asked about the possibility of a school crossing warden in term time, we were told the road was too dangerous for Tansley to have this facility! So what will the County Council do for Tansley? The police are to bring a mobile speed camera to the village on a regular basis. It was also suggested that a group of residents work with a police officer, using a speed gun to gain evidence of speeding on the A615. Vegetation will be cut back at the 30mph sign located where you enter the village from Matlock. Derbyshire County Council will cut back/remove trees from the brook adjacent to the entrance to Church Street, to improve sight lines. Derbyshire County Council will “look at improving the road markings” on the A615 at Tansley. A moderate success, but not good enough. Tansley Parish Council will continue to lobby for a safer A615. 18th February: Outline planning application for land at Tansley House Gardens: An outline planning application (ref 14/00097/OUT) for residential development has been submitted. The application can be viewed here on the Planning section of DDDC's web site. 26th January: DDDC Local Plan Advisory Committee meeting 6 pm, 29th January, Town Hall, Matlock: The meeting will inform committee members of the key issues raised during the public consultation from 13th June to 25th July 2013 on the Derbyshire Dales Pre-submission Draft Local Plan. See the agenda and associated report here. Areas for discussion will be Chapters 8-9. Officers have set out how the key issues have been assessed and make recommendations on the actions to be taken in respect of each issue. The meeting is open to the public. Residents are encouraged to go along and hear what our District Council has to say. However there will be no opportunity for public speaking. 24th January: Thanks to TDA for £1,000 donation for seats: A cheque for £1,000 has been given to Tansley Parish Council by Tansley Development Association to cover the cost of three wooden seats. The seats, which are to be placed at the Fete Field, will be installed by Dave Smith of Arlington Builders when the weather permits. 24th January: Clean pavements and streets: Pressure from residents and Tansley Parish Council has paid off! The area around the Village Green has been dreadful — blocked gullies, pavements and gutters covered with mud, gravel and dead foliage throughout the Christmas period and beyond. Not a very good advert for our 'local authority'! After many requests, and finally a Freedom of Information request asking when our village was last cleaned, Derbyshire Dales responded on Thursday with a great deal of 'man power' — machines cleaned our pavements, gullies were flushed out and the roads were swept. 24th January 2014: Improvements to Whitelea Lane: Residents will be pleased to hear that Derbyshire County Council (DCC) has responded to complaints made by the Parish Council regarding the condition of Whitelea Lane. The Parish Council has been informed that all the potholes have now been filled. Within the next 28 days work will be done on the eroding verges of the carriageway, and the road will then be monitored by DCC. More permanent work will be done on the road in the next financial year. 5th December 2013: Please close the church gate:	Would users of the private walkway leading from Holy Trinity Church through the burial ground please close the metal gate in the burial ground. Today the gate was left open and was damaged as it banged against the stone wall in the high winds. The catch of the gate was so badly bent that it was impossible to close the gate. Thanks to Maycocks of Lant Lane who loaned a metal bar to the Parish Council. Thank you also to the school caretaker and two local residents who between them managed to straighten the catch. 25th October: Can you help keep Tansley pavements clear of snow: Most of Derbyshire County Council’s grit bins are now full, and additional grit will be delivered to the village soon. The additional grit will be available to residents who are prepared to help keep our pavements clear of snow. If you think you can help, please email responsestpc@gmail.com giving your name and the area you are able to keep clear. Thank you. 16th October: Footpath 10 re-opened: The majority of public footpaths in the Parish are now open. Work has just been completed on Footpath 10. This path, which is now open, leads from the A615 on The Cliff through to the Old Coach Road. 3rd October: Youth Club: Tansley Parish Council would like to apologise to any youngster who went to the Youth Club and found it closed on Wednesday 2nd October. Unfortunately we were not notified by Derbyshire Dales District Council that the Youth Leader would not be taking the session. The Parish Council has been monitoring the use of the facility since its inception and has come to the conclusion it is no longer viable. Sadly we no longer intend to continue subsidising this venture, which has been poorly attended. 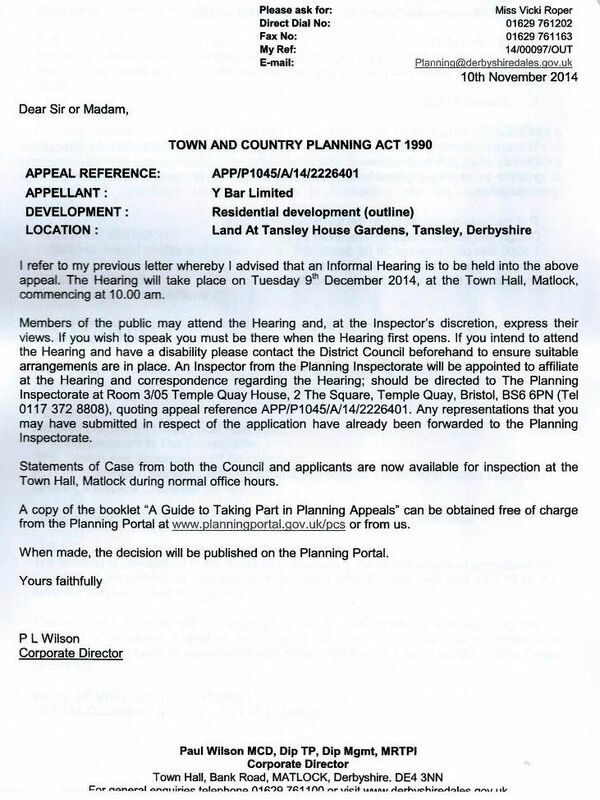 29th September: Land off Thatchers Croft - Planning appeal dismissed: The Planning Inspectorate has dismissed an appeal made by Mr James Neville against Derbyshire Dales District Council's refusal of planning permission for 16 dwellings on land off Thatchers Croft, Tansley. The decision (see full details here), dated 25th September 2013, follows an Informal Hearing held in Matlock on 13th August. 18th September: Vandalism in Church Street: Recently local residents have reported several incidents of vandalism on Church Street. In one incident, a SmartWater sign provided by Derbyshire Constabulary and firmly attached to a telegraph pole was broken into pieces and thrown around the area near Mais Close. Two other incidents involved a fruit tree close to a pavement on Church Street. The tree is badly damaged. Firstly, pieces of the tree were found near the Village Green, then a later incident resulted in the main branch being completely broken so that it overhung the pavement. If you know anything about any of these incidents, please phone the police on their non-emergency number 101 or contact Tansley Parish Council (see contact details above). 28th August: 150 bus service for Highfields School: Nigel Holmes of Holmes Coaches has informed Tansley Parish Council that the service bus 150 “will continue to run for the foreseeable future”. The bus leaves Tansley at 8.10am, stopping at Matlock Green before going to Highfields Lumsdale site. The return journey picks up at Highfields Starkholmes at 3.38pm, and Lumsdale at 3.45pm, arriving back in Tansley at 3.55pm. 6th June: Youth Club: ALL youngsters of secondary school age are invited to Tansley Youth Club. The Club will be on Wednesday evenings from 6.30pm to 7.30pm at the Fete Field Pavilion. The first session on Wednesday 19th June will be free, after which £1 will be payable per session. The Club will be run by a sports coach from Derbyshire Dales District Council. The focus will be on 'social interaction', so just come for a chat, exchange CDs, listen to music. We will have table tennis, a darts board and organised outdoor games. This will be a meeting place for ALL youngsters whatever their interests. It would be nice to have a 'tuck shop'. This might be an opportunity for one of our youngsters to use their entrepreneurial skills! The Club is not grant aided, it will be subsidised by Tansley Parish Council, for residents of the Parish. 6th June: 'End of Year Report': added to the Library page. 6th June: Tansley Ads community noticeboard: A Community Notice Board, for use by all parishioners, has been erected on the side wall of the Village Hall. The board allows people to advertise goods and services wanted or offered, items wanted or for sale etc. • Postcard sized adverts 4" by 6", 10cm by 15cm to be delivered with correct payment to 55 The Knoll or 1 Tawney Croft. • £1 per month, max 6mths. • A space should be left at the bottom of the postcard, so the date that the advert is posted can be recorded. • Proceeds in aid of Tansley Village Hall Restoration Fund. The three existing Parish Council boards (one in front of the Village Green, one at Thatchers Lane and the other in front of the Community Hall) will continue to be used for Parish Council notices and, where space allows, posters about community events. Posters for these boards should be no larger than A5. Posters for the board at the Community Hall and Thatchers Lane should be delivered to Vicki Raynes at Rogan Cottage, Holly Lane. Those for the board at the Village Green should be delivered to Jane Flanagan, Fir Cottages, Church Street (entrance near the bus shelter). 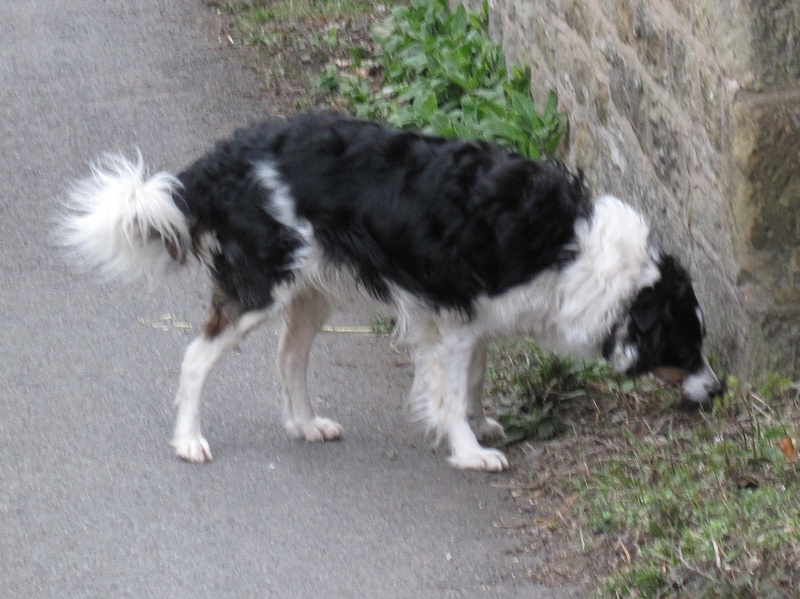 8th April: Stray dog: The Parish Council has received numerous reports over the last few months about a stray dog in Tansley — the dog has been seen at various locations around the village. Here is a picture of the dog . Please click to enlarge it. The dog has a distinctive brown patch of fur on the left side of its face. If you are able to help identify the dog, and its owner, please send an email to responsestpc@gmail.com. Thank you. 5th March: Floral displays: The price of hanging baskets now accounts for a considerable percentage of our precept. Health and Safety Regulations state that the Parish Council, in addition to purchasing the hanging baskets, now has to pay for a structural survey of the lampposts. Derbyshire County Council will not allow the lampposts to be used without proof of a survey. The Parish Council will have to pay for the survey, thus making floral displays more expensive for our village. At the last Parish Council meeting, it was decided that we would continue to have hanging baskets, but we would cut back on the number of baskets. Hanging baskets will be placed on lampposts on Church Street. There will be an additional basket on Holly Lane, to be paid for by residents, while Steve our postman has once again offered to sponsor the hanging baskets outside the Community Hall. Should residents wish to have a hanging basket in any other location, then they too will be able to sponsor a basket. The hanging baskets cost £80 each for the season, with the price including watering. The Parish Council will pay for the survey for any additional baskets. Should you, or a group of residents wish to sponsor a hanging basket, please contact Sally Leighton, our Parish Clerk, before Monday 10th March. 25th February: Burial ground: Tansley Parish Council would like to notify all friends and relatives of deceased persons interred within Tansley Burial Ground that work will take place during the next few months to improve the appearance of the grave spaces. The work will include topping up all the graves to provide a level surface which will be grassed, thus making mowing easier. Floral tributes can be placed near headstones, whilst the remainder of the area needs to be kept free so that all graves can be maintained to the same required standard. 20th February: Re-surfacing of footpath in front of the wood yard: Derbyshire County Council intend to re-surface the footpath which runs in front of the 'wood yard' on the A615. This should make this area of the village more accessible to residents. 16th February: More reports of dog fouling: The Parish Council have had more complaints about irresponsible dog owners. Residents in the vicinity of Thatchers Lane report that 'a person or persons are leaving full dog poo bags on a public footpath'. The poo bags have been moved by responsible residents but these anti-social persons continue with this disgusting behaviour. There are 'dog poo' bins around the village, which are emptied on a regular basis by Derbyshire Dales District Council. Tansley Parish Council requested more 'dog poo bins' and offered to buy more bins. However because of the cut backs we were told that only established bins would be emptied, any additional new bins would not be emptied. Having a dog brings with it responsibility. Would you like to clean up a child's shoes after it has accidentally walked in poo? Why should residents have to clear up after your dog? So please, lets all try to keep our village a good place to live - a place where we can walk the streets without having to negotiate unwanted 'dog poo'. 16th February: DDDC approves 25 houses in Tansley's Whitelea Nursery site: At the special meeting of Derbyshire Dales District Council (DDDC) held on Thursday 14th February, councillors voted in the majority to accept the recommendations of the Local Plan Advisory Committee on strategic housing numbers, settlement framework boundaries and the allocation of land for housing development in the revised Derbyshire Dales Local Plan up to 2028. For Tansley, this means that proposals to build 25 dwellings at Whitelea Nursery were approved by the council. The meeting, held at County Hall, was well attended by members of the public from around the Derbyshire Dales, including a contingent from Tansley. Vicki Raynes, speaking on behalf of Tansley Parish Council, told district councillors that 25 houses was an excessive number for Tansley and requested that our village receive equal treatment to other settlements where initial allocations had been substantially reduced. 11th February: DDDC meeting to consider housing site allocations: There will be a special meeting of Derbyshire Dales District Council (DDDC) on Thursday 14th February to consider the recommendations of the Local Plan Advisory Committee on strategic housing numbers, settlement framework boundaries and the allocation of land for housing development in the revised Derbyshire Dales Local Plan up to 2028. You may recall that recently the Local Plan Advisory Committee voted in favour of building 25 dwellings at Whitelea Nursery, Whitelea Lane, Tansley. The recommendation was not supported by Tansley Parish Council, which considered 25 dwellings too many. Thursday's meeting, to be held in the Council Chamber at County Hall, Matlock, starts at 6pm. 16th January: DDDC report recommends 25 homes for Whitelea Nursery site: A report by Derbyshire Dales District Council's Director of Planning and Housing Services Paul Wilson recommends that 25 houses (now proposed to be Tansley's full allocation) be built at Whitelea Nursery, Tansley. The report, entitled "Derbyshire Dales Local Plan - Housing Options Consultation - Allocation of Sites" was published on the DDDC website here and will form the basis for discussion by district councillors at a meeting of the Local Plan Advisory Committee to be held in Wirksworth on Wednesday 23rd January. 14th January 2013: Fostering and adoption: Can you play a part in a child’s future? Derbyshire County Council has launched a new recruitment drive calling for potential foster carers and adoptive parents to come forward. There are already around 420 foster carers providing homes for children throughout Derbyshire but more are always needed. Councillor Barry Lewis, Cabinet Member for Young People, said: “Caring for children is one of our most important responsibilities and we’re always looking for foster carers and adoptive parents so we can match youngsters to the right homes. “Being a parent is one of the hardest jobs you can do but it is also one of the most rewarding, which is why many of our foster carers work with us for decades.” There are two local buses rolling out the recruitment message in the north-east and south of the county, along with TV, radio and newspaper adverts. On-going training and mentoring is provided for all approved foster carers as well as membership of the council’s Workforce Extra discount scheme, a home computer, broadband access and free leisure card for the whole family. Allowances and bonus payments are available on top of basic fees dependant on the type of care offered and length of service. To find out more Call Derbyshire on the new free fostering and adoption hotline 0800 083 7744 or visit 'www.derbyshire.gov.uk/adoptionandfostering'. 15th December 2012: More anti-social behaviour in Tansley: Approximately two weeks ago the street sign for Spout Lane was removed from the wall — Derbyshire Dales District Council has taken the sign to their depot and we are advised it will be put back in place shortly. This week the street sign for Gold Hill was also removed. It was found on the Village Green by our postman, Steve, but had been so badly vandalised that it is beyond repair. At a similar time plants were pulled out of the planter and thrown on the road. 9th December: Local resident praises council for democracy in action: The following message from a local resident was published recently using the village's Hotwire emailed news service: Thursday evening’s decisions by Derbyshire Dales District Council’s Local Plan Advisory Committee will have come as a surprise to many people. For some, a welcome surprise, for others, especially some with particular interests, a bemusing or even frustrating one. But the whole point of democracy is to find solutions when there are complex issues and where there are strongly divergent views. If we all agreed on everything there would be no need for it. For me the most striking thing was not the decisions themselves, but the democratic work taking place at Tansley Parish Council which clearly had such a strong influence on them. Most parish councils wait until a hot issue comes up and try to cope with it. Our parish council did far better than that. By conducting two questionnaires to establish a clear and consistent picture of residents’ views, it came to this housing issue prepared. Aware of the democratic mandate it had been given, the council was able to speak confidently on behalf of the village. The basis of its evidence was clearly crucial in the decisions made by the Local Plan Advisory Committee on Thursday night. Tansley Parish Council has gone out to the village in a way that I have never seen before and has sought real engagement with our views. Not everyone will agree with the results of the surveys, but the thoroughness with which this exercise has been conducted makes it very difficult to argue with the process used. A great example of local democracy in action. 9th December: Priorities for local housing sites: At a Derbyshire Dales District Council Local Plan Advisory Committee meeting on 6th December, the priorities for developing Tansley housing sites as recommended by the planning officers was revised by the councillors. The prioritisation was on a scale of 1 – 4. Priorities 1 and 2 are considered to perform well against set criteria. Priority 3 sites are considered to have significant development issues. Priority 4 sites are considered inappropriate because of development criteria that cannot be overcome. Councillors voted as follows: TAN 1 (Land off Nottingham Road): Priority 2 changed by the committee to Priority 3; TAN 2 (West Yard): Priority 2 changed by the committee to Priority 3; TAN 3 (Tansley House Gardens): Priority 3 changed by the committee to Priority 4 because they felt the site should be protected; TAN 4 (Whitelea Nursery): Priority 2, unchanged from original recommendation. 7th December: Help clearing snow requested: Derbyshire County Council has asked communities to help with a 'Winter Service', in particular helping to keep selected areas of public pavements clear of snow.Tansley Parish Council has once again signed up to be part of this community scheme. We would like to keep a route open for children going to Tansley School, access to bus stops and community buildings. Rock salt will be distributed to all helpers. If you think you would like to help, please email responsestpc@gmail.com Please give your name, address and the area you will try to keep clear. Please also confirm that you have read and accept this Risk Assessment. When the salt arrives you can either collect it or it will be delivered to you. 29th November: Parish Council vacancy:There is a vacancy on the Parish Council. Any interested persons are asked to submit a written representation to the Parish Clerk, giving their reasons for wanting to fill the position. 22nd November: School bus service to continue into New Year: The Parish Council has been informed by Nigel Holmes of G&J Holmes Coaches that the temporary 150 service bus provided to help Tansley students get to Highfields School has been a success. Mr Holmes proposes to continue the service into the New Year, when he will liaise again with the Parish Council, giving the Parish Council an update on viability. Well done Tansley students! 29th October: School bus service: After lots of negotiation the Parish Council, in conjunction with parents, have managed to retain a school bus service for Tansley. The bus will be run by G&J Holmes, it will not be subsidised by Derbyshire County Council, and it will be run on a commercial basis. The Parish Council are informed that fares will be much the same as the ones previously paid by students. Nigel Holmes, the owner, is prepared to 'take a risk' with this additional service. However, if students don't use the service, the bus will cease at Christmas. The bus will collect students at 8.10am from Tansley and will stop at Matlock Green before commencing to Highfields Lumsdale site. In the afternoon it will leave the Starkholmes site at 3.38pm, collecting students at the Lumsdale site before returning to Tansley. Here is the timetable. The bus can also be used by members of the public. 25th October: Financial entitlement for travel to Highfields: "Children aged 11 to 16 who are entitled to free school meals, or whose families get the maximum level of working tax credit, are entitled to free transport to any one of the three nearest suitable schools where the distance is between two and six miles." (Education and Learning, Derbyshire County Council). If this is applicable to your family, contact Derbyshire County Council. 18th October: Dog poo bag dispenser:A dog poo bag dispenser has been purchased by the Parish Council. It is planned to place the new dispenser at the entrance to Footpath 4. This footpath is located on Church Street opposite Oak Tree Gardens. 22nd August: Traffic calming on the A615: Tansley Parish Council would like to keep residents up to date with progress related to traffic calming on the A615 and our request for a pedestrian crossing. The request for improved signage has been a partial success -additional and upgraded signs are now in situ - but unfortunately our request for an additional Vehicle Activated Sign was not successful. The Parish Council has expressed its concerns about the decision by Derbyshire County Council to withdraw the Highfields school bus from the village, and we are aware that our young residents will now have to catch a service bus which will pick up opposite The Tavern. We will continue to lobby Derbyshire County Council and highlight the need for a crossing. This letter from Councillor Sue Allsop offers a glimmer of hope. 6th July: Street Games: Tansley Parish Council and Derbyshire Dales District Council are funding 'street games' during the summer holidays. These weekly sport sessions will be held on Wednesdays at the Fete Field from 4pm-6pm, commencing 25th July for 6 weeks. There will be two groups: 8+ and 11+. Each group will have a qualified sports coach. Equipment will be provided. Come and join in, learn new skills, make new friends. 2nd July: Tansley Village Plan 2012: See the plan here and on the Library page. 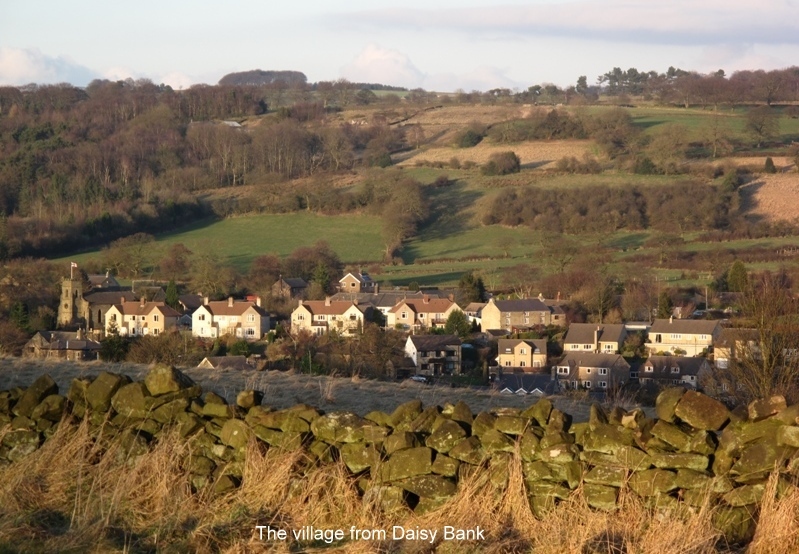 21st June: Derbyshire Dales Local Plan Consultation Wednesday June 27th in Tansley Village Hall: The District Council want to discuss their proposals for the provision of 30 new homes, to be built on green field sites outside the settlement boundary. The four sites currently under consideration by Derbyshire Dales are - land off Nottingham Road, WestYard, Whitelea Lane and Tansley House Gardens. Tansley Parish Council is recommending that residents do not respond to the local authority until all the facts have been clarified at this meeting. Tansley Parish Council suggests interested residents stay behind after this public meeting. When officials have gone, you will have a chance to respond immediately to the proposals given by DDDC – together we can formulate a way forward for the village. 20th June: Hanging baskets at the Community Hall: Tansley Parish Council would like to say a big thank you to our village postman Steve Greenhough for his generosity and thoughtfulness in providing the two beautiful hanging flower baskets now adorning the front wall of Tansley Community Centre. See photo here. 20th June: Buff anti-skid pads yet on A615: Tansley Parish Council has been lobbying the County Council for improved traffic calming on the busy A615. We were promised improved signage and 'buff anti skid pads' at the village 'gateways'. We have just been notified that Derbyshire County Council will re-mark the road but cannot provide the 'buff anti-skid pads' because of financial constraints. Obviously we are very disappointed that this busy road is not going to have additional work promised. The Parish Council will continue to lobby for a 'safer' A615. 7th June: Litter Pick: A Village 'Litter Pick has been arranged for Saturday 7th July and Sunday 8th July.We will meet outside the Community Hall on Church Street where equipment will be distributed.There will be a limited number of litter pickers and gloves for residents to borrow,and a good supply of black refuse sacks. There will be two sessions each day 10-1pm and 2pm -4.30pm. All rubbish collected will be returned to a central point ( residents will be notified on the day) this will be collected by Derbyshire Dales, on Monday 9th July. The Parish Council would welcome suggestions from residents about locations that need tidying up. 25th May: Derbyshire Dales Local Plan 2006-2028: Consultation Exhibition (2pm-6pm) and Meeting (7pm-9pm) in Tansley Village Hall 27th June - "What is the plan for Tansley? Where should new housing go in Tansley? Where is the proposed boundary for the village?" See poster here and proposed development sites and map here. 3rd May: Derbyshire Dales Local Plan 2006-2028: See update summary and statement made by TPC Chairman at the DDDC meeting 26th April on the Library page. 29th April: Derbyshire Dales Local Plan 2006-2028: At the recent Derbyshire Dales Council Meeting on Thursday 26th April, councillors were asked to consider the preparation of a new Derbyshire Dales Plan. Councillors were asked to vote on a timetable for the implementation of the plan, including public meetings at the preferred villages for allocation. Local councillors voted for option 2 which allocates 30 dwellings to Tansley within the plan period. The housing will be on 'green field', outside the settlement. Residents will be able to comment on the proposals at a meeting arranged by the local authority to be held in June. 23rd April: Responses and Charts for results of 2012 Tansley Parish Village Survey added to the Library page. 9th April: 'Email response from Insp. Hall to Holly Walker about A615 traffic speed' added to the Library page. 6th April: 'Traffic Issues A615 Tansley - Update by Tansley PC' added to the Library page. 26th March: Over the last few years the enthusiasm of residents to enter their gardens for the Tansley in Bloom competition has waned. Last year the response was very poor. Cllr. Brian Taylor has worked hard to try to encourage more public participation with little success. The Parish Council has therefore decided not to hold a competition this year and not to enter the village into East Midlands in Bloom. Any money allocated for these competitions will be used to make our village more attractive. 8th March: Residents of the parish are invited to 'drop in' to Tansley Community Hall to help/oversee the counting and collating of the parish survey on Saturday 10th March at 10am. 29th February: Tansley Parish Council invite all residents to attend a Village Meeting at 7.30 pm on Tuesday 24th April at Tansley Village Hall. We will discuss the results of our recent Parish Survey, and residents will help make decisions related to the village. 20th February 2012: A Parish Plan survey form is being delivered to residents. It is also available here on the Library page. Responses to the survey can be returned to The Gate, The Tavern, The Royal Oak, Holy Trinity Church (Wednesday AM only) or the Methodist Church Post Office (Friday AM only). Boxes will be at these venues from Monday 27th February until Friday 9th March. The Parish Council will follow up this survey with a village meeting in the Village Hall at 7.30pm 24th April, where the results of the survey and any subsequent ideas will be discussed. The survey will help Tansley Parish Council allocate precept money in a fair and responsible way and help with decision making. 19th December 2011: Revised map of Tansley pavements to be cleared/gritted by residents added to the Library page. 1st December: Parish Council News, November 2011, published as an A5 foldable booklet for viewing/printing here. 30th November: Map of grit bin locations added to the Library page. 18th November: Map of trees with Protection Orders added to the Library page. 14th October: Annual Return 2010-11 for Audit Commission has been published here on the Library page. 13th October: Derbyshire Dales District Council Tansley 'Community Conversation' Report published here. 3rd October: Tansley In Bloom presentations were held at The Brunswick Room adjacent to the Methodist Church, Tansley. 17th September: Tansley awarded Silver in East Midlands In Bloom 2011. See more details here. 18th July: Tansley Footpath Map added to the Library page. 6th July: Judges for East Midlands In Bloom will be touring our village on Friday morning 15th July. See our Portfolio here. 29th June: Derbyshire Dales District Council held a 'Community Conversation' meeting on 28th June in Tansley Village Hall. A number of residents were allowed pre-bookable places to discuss, 'the future shaping of Tansley'. Residents were asked what they liked and disliked about the village, what could be improved and how they saw the village developing in the future. A map was distributed to groups of residents. They were asked to highlight areas that needed protecting and areas suitable for future development. If you would like to make your feelings known to the local authority, regarding future growth in Tansley, please respond before 22nd July 2011, to Mike Hase either by e-mail to planning@derbyshiredales.gov.uk or in writing to Derbyshire Dales District Council, Planning Services, Town Hall, Bank Road, Matlock, DE4 3NN. 20th June: The chairman and another member of the community planted lavender, spirea and euonymus (provided by the parish council) by the steps of the village green. 15th June: DDDC's Joint Core Strategy Community Conversation pre-meeting Booklet for Tansley is now available here. 11th June: The Parish Council invites you to enter the "Tansley In Bloom" competition, in association with East Midlands In Bloom. See details & entry form here. 8th June: DDDC Joint Core Strategy Community Conversation meeting will be held in Tansley Village Hall, 28th June, 7pm. 1st June: The bund area behind the Fete Field pavilion has now been planted. Tansley Parish Council (via chairman Vicki Raynes) would like to thank Blue Diamond's Matlock Garden Centre for their generous donation of vinca plants and Richard and Kath Camm for the primulas. A big thankyou also to Neil Green who brought a huge rock and placed it in the 'bund area', creating a focal point for the planting. Thank you also Jean Ellis for providing a much needed hosepipe and water supply! And of course the willing hands who planted the area. 4th March: Tansley Parish Council invites you to A Village Forum on Wednesday 30th March 2011 7.30pm in Tansley Village Hall. We hope to gauge the interest of residents for a re-launch of a Neighbourhood Watch Scheme. This will also be an opportunity to discuss any ideas/or concerns you have related to the village. Please send questions prior to the meeting to the clerk by post or email using addresses as below. 14th February: Letter received from DDDC regarding Core Strategy is published here on the Documents page. 27th January: As noted in the Peak District Housing Association publicity leaflet here, people can still apply for homes at West Yard and need to do so ASAP. The properties will be advertised on 'Home Option' bidding cycle no 102 and will commence 10th February at 9am and close 15th February at 5pm. Applicants MUST be registered with 'Home Options' or alternatively telephone 'Home Options' team on 01629 761311 for more information, forms are available in the village, please phone 01629 55075 to arrange to collect an application form. Should residents be interested in these properties they are urged to APPLY NOW. 15th January: Tansley Parish Council would like to make residents aware that the development at West Yard is nearing completion. The allocation process will commence soon. All the properties are for rent, and are for local residents or people with a strong connection to Tansley. To be able to ‘bid’ for these properties people need to be registered with Derbyshire Dales ‘Home-Options’. For residents who are interested and have not yet registered; application forms will be available at the next Parish Council Meeting, to be held at 7.30pm on January 19th at the Fete Field Pavilion. 9th January: On 10th-12th January, 10am-3pm, workers from Parkwood Day Centre in Alfreton will be doing conservation tidying work beside Spout Lane and around the Fete Field Pavilion. "After advice from Planning Officers, District Councillors decided ‘Community Conversations’ would take place at various venues in High Peak & Derbyshire Dales. This will be to discuss future development in the area. Tansley has been identified as a location for future development; it has been proposed that an additional 30 houses are built within the village. A 'conversation' is to be arranged in Tansley by the local authority; packs are to be prepared by Derbyshire Dales District Council (DDDC) and will be sent to all residents of the parish. A reply will be required by the local authority should residents wish to attend the ‘conversations’. Numbers will be limited. More than one 'conversation' may be necessary." The results of last year's housing questionnaire issued by Tansley Parish Council are here on the Documents page. 26th November 2010: £10,011 released to Tansley Village Hall Committee for its Stage 1 Restoration Project. 26th November: Accounts for 2010-11 to date published on the web site here. 14th October: Combined EMIB & Tansley In Bloom presentations well attended in Tansley Church, 13th October. See details here (TIB) and here (EMIB). 22nd September: Tansley wins Silver Gilt and other awards in East Midlands In Bloom competition. See details here. 2nd August: Invitation to Tansley PC to submit photo for DDDC's Beautiful Dales Competition (see here). 2nd August: East Midlands In Bloom presentations will be in Northampton on Wednesday 15th September. 2nd August: Minutes of Draft Plan Consultation meeting in Tansley on 9th June published here (see Library). 25th July: The Parish Council meeting planned for 28th July has had to be postponed until Monday 2nd August. Apologies for any inconvenience. 14th July: Revised results of questionnaire about housing development proposed by DDDC published under Library or click here. 8th July: The deadline for the return of questionnaires about housing development proposed by DDDC is extended to 12th July. The final results will be published	here. 25th June: Parish Council issues public questionnaire to be returned by Friday 2nd July inviting views about housing expansion in Tansley proposed by DDDC. Public meeting arranged for 7th July, 7.30pm in Tansley Village Hall. Possible site options are shown in this map. 20th June: East Midlands In Bloom judging to take place on Wednesday 14th July, starting at 10am. 4th June: Councillor Brian Taylor has hand-built two new oak-framed notice boards for Tansley Parish Council and erected them outside the Community Hall and alongside the Village Green, opposite the Old Coach Road. The Council is grateful to Brian for giving all of his time and hard work freely and Charles Gregory for donating the wood. 10th May: The Parish Council invites you to enter the "Tansley In Bloom" competition, in association with East Midlands In Bloom. Please send your entry form to Brian Taylor or email it to tansleypc@btinternet.com by Friday 16th July. Judging is on Monday 19th July. 24th March 2010: We are pleased to report that three new dog litter bins have been installed to replace worn-out ones. An extra litter bin has been installed on Church Street at the bottom of Gold Hill. 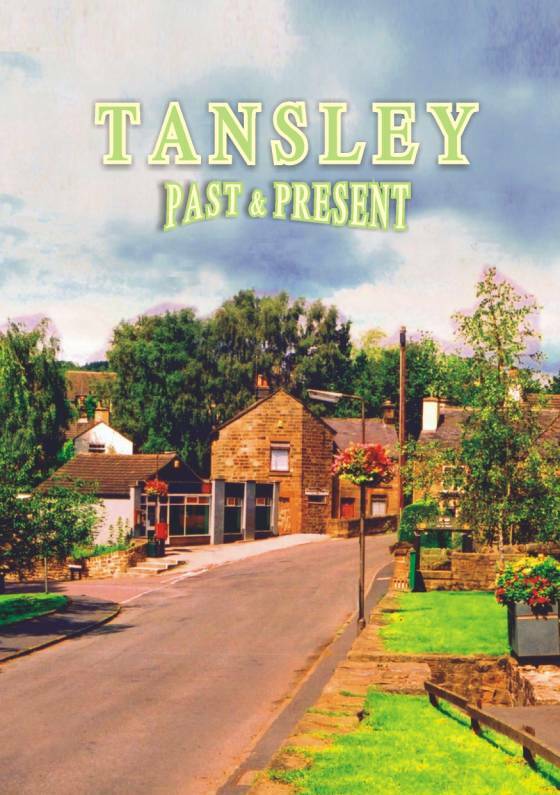 Click here to see "Walks around Tansley" by Mary Eatherden, taken from the book "Tansley Past & Present" compiled by Reg Whitworth. The walks were updated and maps were added in March 2013 by Chris Knightley. To contact this web site, please send an email. The parish council thanks Tony Keys of The Data Analysts for his former long service to the community in running this web site.